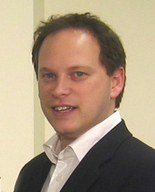 Grant Shapps, Shadow Minister for Housing, answers the questions you asked here (sorry for the delay). NigelC: Is the Green Belt safe under the Conservatives? Labour talk about maintaining the total acreage by compensatory additions when one site is redesignated for building. This defeats the purpose of the Green belt in containing urban sprawl and encouraging urban regeneration. Do the Conservatives recognise the real benefits the Green Belt brings in forcing hard planning decisions for our towns and cities? Yes we will rigorously protect the Green Belt and won’t pull the wool over people’s eyes by saying that we’re enlarging it, whilst simultaneously deleting parts and creating new green belt where there’s no real development pressure. The only caveat to this very firm policy would be if local people wanted to use Green Belt for a community based facility. I’m thinking here of the kind of development that may well provide a community sports facility on Green Belt in my own constituency. This would be subject to all the safeguards that you would expect, including final sign-off by the Secretary of State. The message would be simple though. We’ll protect the Green Belt and we won’t play tricks by deleting one part and creating it elsewhere in the country. Secondly will the Conservatives abolish regional plans (whether drawn up by regional assemblies or regional development agencies) and return to county structure plans and district local plans? Yes. We’ll scrap the Regional Assemblies, as the Government have now said that they will do. But rather than giving those powers to the Regional Development Agencies (RDAs), we will hand the powers to Local Authorities either at Parish, District or County level as appropriate. Our entire approach to planning will emphasise bottom up, rather than top down and so it’s only natural for decision making to happen through incentivised local communities, rather than because Whitehall knows best. The public are savvy. They understand that the power of locally elected Councillors has been diminished over the years and none more so because of the growth of Regional Quangos. Last year I completed a piece of research which demonstrated that the cost of Regional Government, by which I mean just administering it, had hit £1m per day. Centrally inspired, unelected and pen-pushingly bureaucratic, this regional approach to governing us uniquely distant from everyday lives. We’ll scrap this structure and in the process give people good reasons to go out and vote for local councillors who will once again have real power over what happens in our own communities. Any questions for Andrew Lansley? A previous Director of the Conservative Research Department and coordinator of 1999's successful European Elections campaign, Andrew Lansley has been MP for Cambridgeshire South since 1997 and Shadow Secretary of State for Health since November 2003. David Cameron recently took the unusual step of saying that Mr Lansley will be Secretary of State for Health in his first hoped-for Government. Please leave your questions for Mr Lansley in the thread below or email them to us. 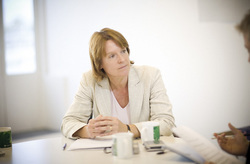 Party Chairman Caroline Spelman answers our selection of the questions that you asked her here. Jim: Caroline, can we have your assurance that making our voter software "fit for purpose" with Associations and Branches is in your top 5 priorities? It's certainly one of my top priorities. Rolling out new software is never straightforward and there will be glitches, but having seen the advantages that the new system has to offer I'm certain it will be worth it. To be fair, our IT department are putting in a Herculean effort to get it up and running as quickly and easily as possible but complications will arise as they do with any organization embarking on an IT project of that scale. James Maskell: Does the Conservative Party have any plans to make membership of the Party more affordable? We've got some ideas in the pipeline for membership which you will hear about next year, but in terms of membership rates we do have the lowest standard suggested membership amongst the three main political parties. £25 is the rate at which we charge members who wish to join centrally, and it is the annual rate we suggest associations charge, but in line with our aim to devolve more power to local associations they have the right to vary the membership fees as long as a small registration figure is paid to CCHQ for each member in order to cover administration. Alex Swanson: When is the leadership going to start appreciating and listening to the membership and activists instead of, as currently seems to be the case, regarding them only as an embarrassing and potentially dispensable source of money and election manhours? When I was first elected in 1997 it was on a recount with a majority of just 582 so I am acutely aware and appreciative of the work done by our members and activists. Far from being embarrassing or dispensable I want the Party to invest in its members and activists so that there is a greater sense of unity and people feel their involvement with the Party is a genuine two way street. We are already making good progress, not least through Don Porter's tireless efforts in bringing CCHQ and the voluntary party closer together. As you may know the Conservative Policy Forum was established in 1945 and is still going strong. Just last month David Cameron wrote a letter of response to all CPF members in response to their latest submission. In addition our Stand Up Speak Up consultation on the policy group reports also marked a genuine commitment to engage with everyone interested in the Conservatives about the issues that matter to them.